Naturalizing the stretch of river that snakes through downtown Flint will transform a concrete wasteland into a usable public space that is aesthetically pleasing. It also will complement the rest of the 142-mile long Flint River, parts of which are as remote and scenic as rivers in northern Michigan. The domicology movement aims to save materials from demolished buildings, sending less to landfills. An answer to your adaptive reuse prayers? Over time, community members reported fewer mental health problems, said they’d been victims of crime less often, and felt less afraid. 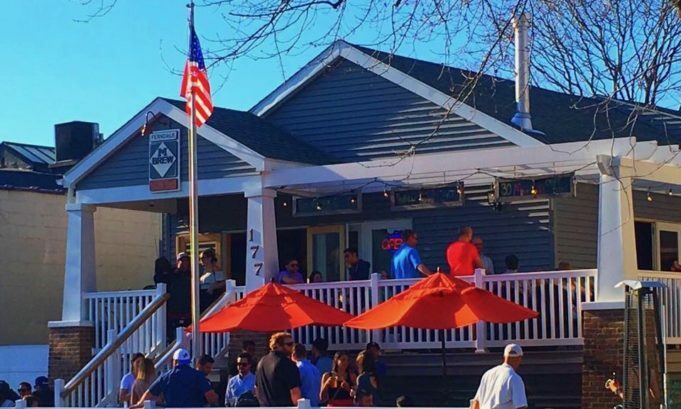 That’s probably because crime did go down along the University Avenue Corridor: According to the coalition’s latest report, assaults decreased 54 percent, robberies 83 percent and burglaries 76 percent between 2013 and 2018. Each property is listed with a link to its Google Street View—giving an idea of what the property and the surrounding areas look like—plus square footage, acreage, and the year each property was built. No prices are listed; these properties will go to the best offer. Scavengers have been fleecing Detroit homes for a great portion of the 2000s, but police said it will no longer be tolerated. The trade in stolen architectural salvage is facing a major crackdown. Think you’ve got what it takes to be the Pinball Wizard? Why not try your hand at the Charity Pinball Party Tournament this Thursday, February 22 at M-Brew in Ferndale. 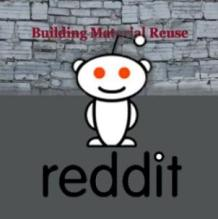 The event is being put on to help raise money for the Architectural Salvage Warehouse in Detroit.The organization helps to keep salvageable and architectural ornate materials out of area landfills. We transform Detroit vacant lots into urban bee farms for the community. We focus on a three part mission: (1) Eliminating blight in the City of Detroit by repurposing vacant lots. (2) Preserve the conservation of Honey Bees. (3) Provide tours and bee education for the community. 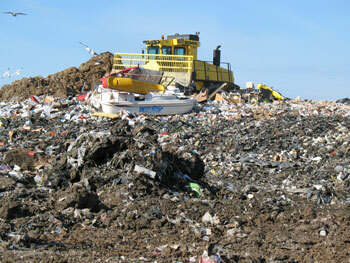 The South Kent Landfill, image courtesy Kent County. Domicology is a new term coined by some experts looking to repurpose materials from old buildings to avoid large scale waste and high landfill costs. 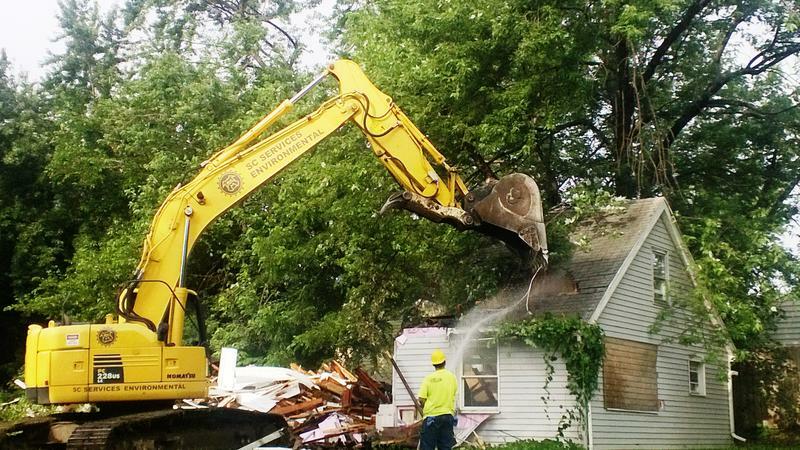 While the landscaping is still well tended, the house on Shiawassee Avenue, as of Friday, Sept. 9, was nearly gone. “We’ve been building homes for years, and have demolished a lot,” said Bloomingdale. 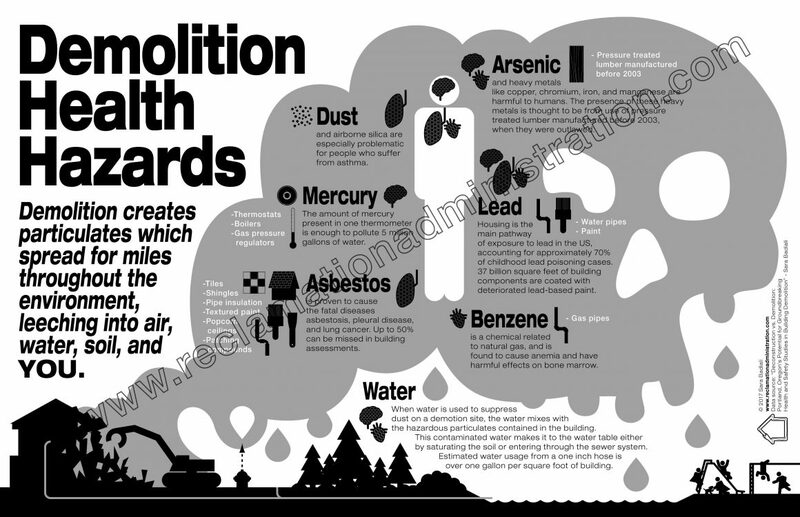 “I always felt bad about disposing of material that we’re never going to find again. 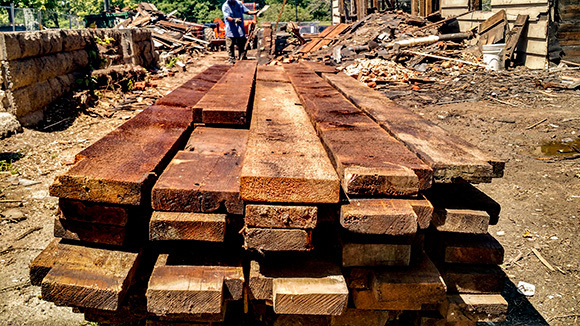 Slow-growth lumber doesn’t exist anymore and here we are throwing it away.” That’s why Bloomingdale decided to get himself a warehouse and start dismantling and reusing materials out of these homes. We could easily imagine a Revive Pontiac program graduate one day purchasing a condemned house, deconstructing it, turning the reclaimed material into a hot product, and then pitching their new business on “Shark Tank.”Deconstruction — demolition’s smarter cousin — is now alive and well in Oakland County and throughout the region, which is good for individuals, neighborhoods, property values, and our economic prosperity. 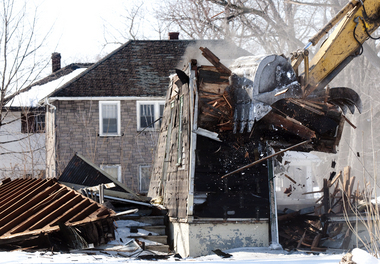 This November 2015 photo shows a blighted house being demolished on Sanford Street in Muskegon Heights. 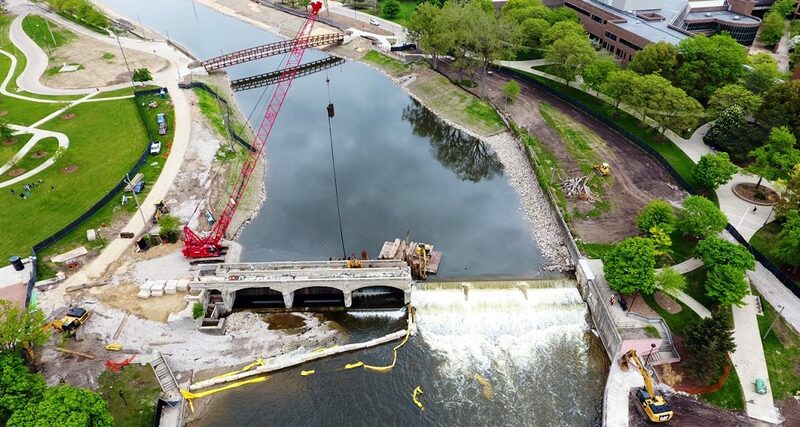 “(It is) looking at a large catchment area of the entire Great Lakes and utilizing the Port of Muskegon to bring in that material from other cities throughout the Great Lakes, repurpose it here in Muskegon, and then ship it back out through the Port of Muskegon,” said Kuhn. The study builds on the work Michigan State University researchers began more than a year ago when they looked at blighted homes and structures in Muskegon Heights. MSU worked in partnership with Muskegon County at the time. 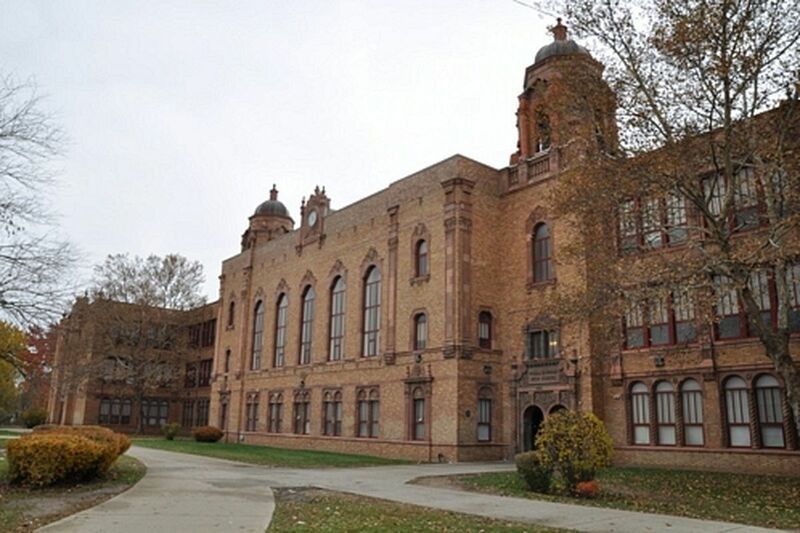 LaMore will be working with 3,000 abandoned structures in Muskegon, as well as looking at materials from Chicago, Toledo, Cleveland, Detroit, Milwaukee and other Great Lakes cities to determine the economic feasibility of their reuse. LaMore’s research emphasizes deconstruction over demolition, but he tells us that’s something of an uphill battle because the former lacks economic incentive. The test site will be the western Michigan city of Muskegon, which researchers say has more than 3,000 abandoned residential and commercial properties. They want to look at whether traditional demolition is the best bet or if materials should be reused and repurposed. It’s even more impressive that a spa, the type of business with a reputation for being an energy hog, will essentially become the greenest building in town. Grocoff and his team are salvaging everything from the old bricks to the hardwood floors to the structural studs to be reused in the Sun Baths building as well as other future projects. Much of the wood came from Michigan’s virgin forests a century ago, meaning its of a higher quality than what is currently available in stores today. via Deconstructing the past for a zero-energy future. 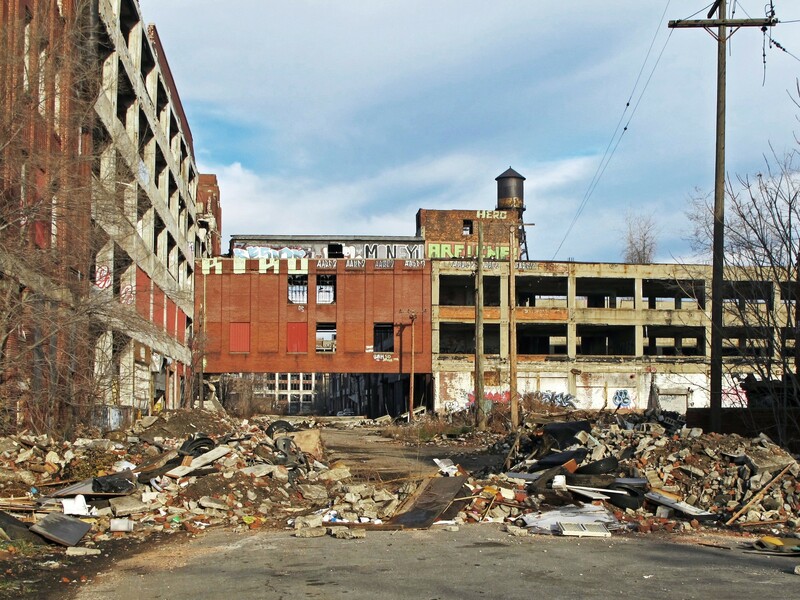 In a continuing effort to save or repurpose a long list of blighted buildings across Detroit, the City and the Detroit Brownfield Redevelopment Authority (DBRA) are looking for proposals for the adaptive reuse of a crumbling industrial property in the East Riverfront District. 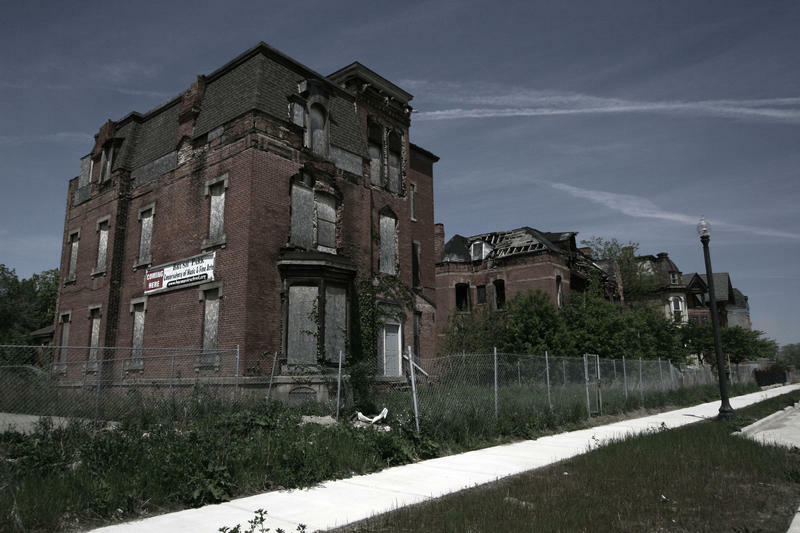 via This Crumbling Building in Detroit Wants to be Saved | Commercial Property Executive. 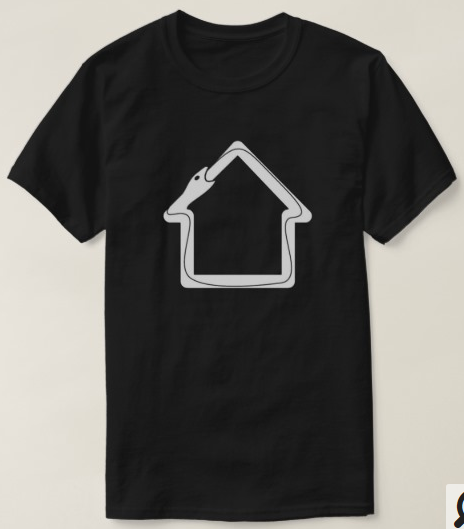 “The house up the street has stuff coming out of it. It keeps piling up. Where is the ticket for that? It just doesn’t make sense.” Devlin said. In November, 7 Action News Reporter Ronnie Dahl exposed dozens of blighted properties owned by Perfecting Church. Some are vacant lots with illegally dumped debris. Others are abandoned homes, sitting wide open. One house, close to a school, was being used as a drug den. via Detroit urban farm owner cited for blight says she’s being unfairly targeted – WXYZ.com. Many property owners who break anti-blight laws would face tougher penalties under bills approved Thursday in the state House. Under the legislation, the worst offenders could spend up to a year behind bars. State Rep. Amanda Price (R-Park Township) says a number of Michigan cities have good anti-blight laws on the books. But she says the consequences for breaking those laws aren’t tough enough to deter people. “So it puts the teeth into what those cities are trying to do in eliminating blight,” said Price. via State lawmakers look to crack down on urban blight | Michigan Radio. 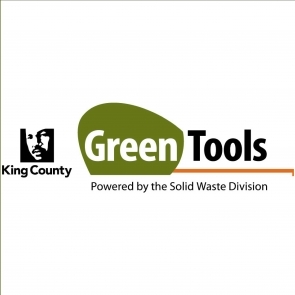 This innovative Urbanwood program encourages municipalities to recycle their dead street and park trees into high-quality products. Wood products from Urbanwood.org are made from a resource that would otherwise be thrown away. But this doesn’t diminish the quality or safety of the products. The wood products sold here are always of good quality. 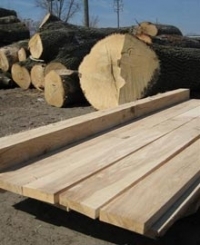 In fact, you are likely to find a greater range of species and of unconventional character and grain than you will find from most lumber suppliers. 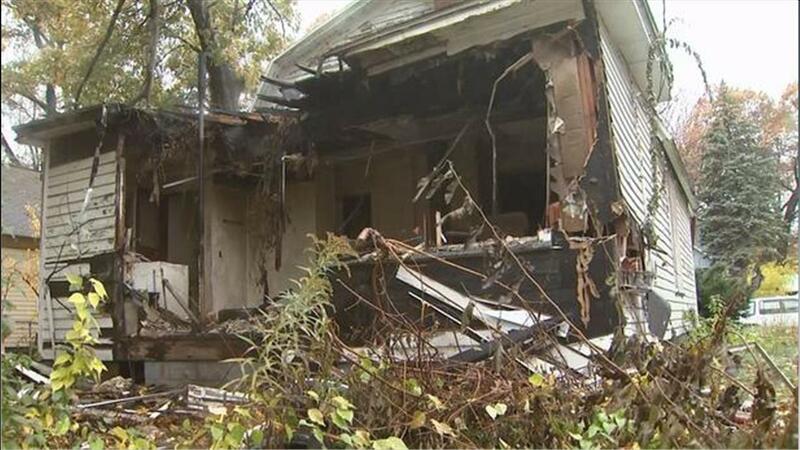 Sometimes it’s not the wrecking crew’s fault for destroying the wrong house: Authorities are accusing a Michigan man of intentionally switching his address with that of his next-door neighbor so he could save his house from demolition. Guess that means he won’t be too popular at the next block party. via Man Accused Of Changing Address So Wrecking Crew Would Demolish Neighbor’s House Instead – Consumerist. 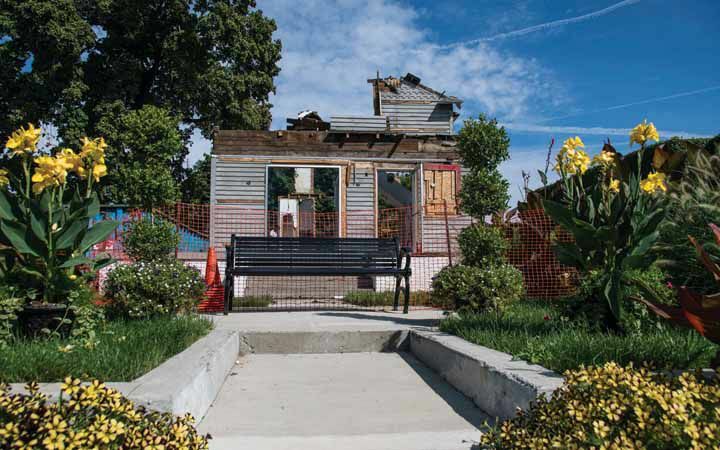 Jim Schulman of Community Forklift and The Building Material Reuse Association recently wrote a beautiful review of the new book Tear Down: A love poem to arson-prone, deindustrialized Flint, Mich. by Gordon Young. When a book inspires a review that is this poignant and thoughtful, do not hesitate – go out and get it! But first read the entire review on Washington Independent Review of Books. A love poem to arson-prone, deindustrialized Flint, Mich. I was halfway through Gordon Young’s absorbing yet wrenching portrait of Flint, Mich., while on a red-eye flight from Seattle to Baltimore with a stopover in Detroit. After I had put the book down to sleep, I awoke in the dark over southern Wisconsin. Perhaps it was the optics of the airplane window or my vantage point above the clouds, but I observed the most delicate new moon I had ever seen. I took it as a portent of hope for the sustainability of communities all over the world, including down-and-out Flint. 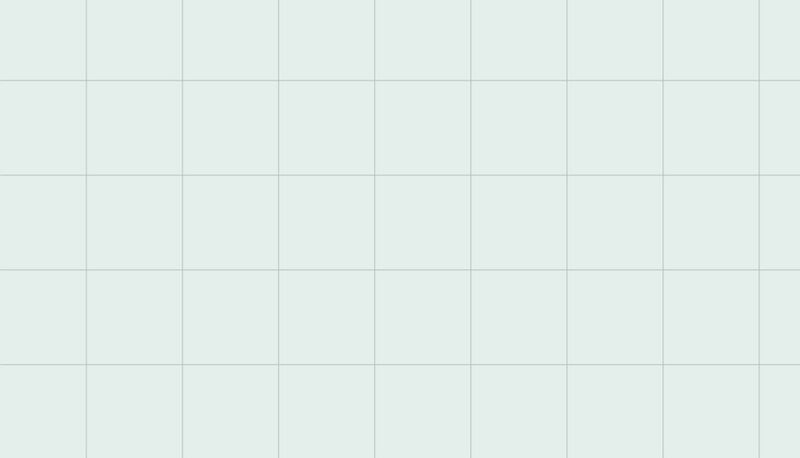 As the light grew from the incipient sunrise, I made out the outlines of Lake Michigan. In a few minutes, much to my surprise, the whole mitten thumb of eastern Michigan, framed by Saginaw Bay and Lake Huron, laid out before me. via Teardown: Memoir of a Vanishing City | Washington Independent Review of Books. FLINT, MI — Michigan has received approval to spend $100 million in federal funds to demolish thousands of vacant homes in Detroit, Flint, Grand Rapids, Pontiac and Saginaw. So how will this affect those communities, as well as the state of Michigan? 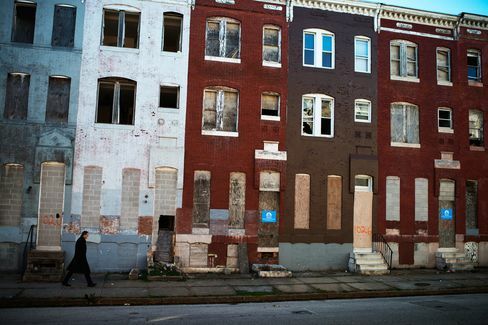 How is blight eroding your urban neighborhood? At 11:30 a.m. Tuesday, June 18, MLive-Flint Journal will host a live chat in the comments of this post on blight issues with local legislators, officials and a representative from MSHDA. 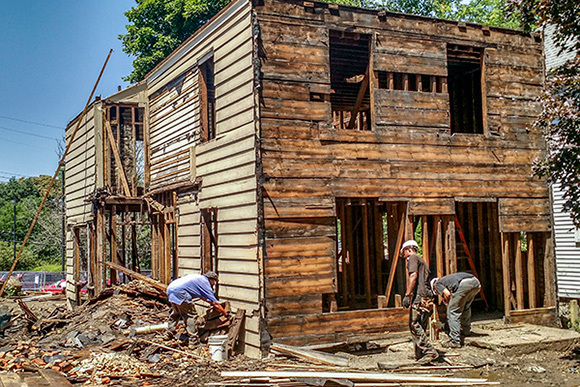 via How Michigan can fight blight in urban areas: Join us for a live chat | MLive.com. The fire that damaged the former Consumers Energy headquarters in downtown Jackson on May 31 was caused by sparks, according to the city Fire Department. The building was being demolished, and the sparks happened while a worker was cutting metal with a torch. The sparks caused a fire when they landed in a debris pile. Six workers were briefly trapped by the fire, but all got out safely. The company responsible for the salvage operation, Dore and Associates, has been told to have a standby hose line in the building to prevent future fires. via Former Consumers Fire Caused By Sparks From Salvage Operation. The quality, look and feel of old construction materials — not to mention the stories these remnants tell of another era — are attracting the interest of entrepreneurs and others setting up shop in Detroit. “It makes us feel much more connected to the city,” said Kevin Borsay, co-owner of the recently renovated Stella Good Coffee in the Fisher Building in Midtown. Borsay and his partners used 100-year-old wood from a home on Cadillac Boulevard for the coffee shop’s countertops. “It’s like (having) a piece of Detroit history,” he said. While not a new industry, the popularity of reclaimed wood and other materials from Detroit has spiked in the past few years, thanks to the creation of a nonprofit that makes them easily accessible. Founded in 2011, Reclaim Detroit — a branch of the WARM Training Center, which promotes green jobs and sustainable housing — has dismantled about 15 homes in the city and Wayne County. 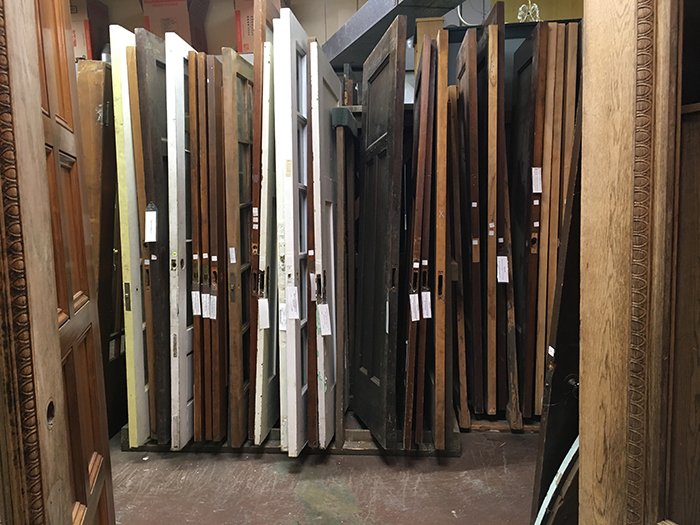 The materials — from wood and bricks to doorknobs and windows — are stored in a 6,000-square-foot warehouse on Oakman Boulevard in Detroit. The salvaged wood has been used in bars and restaurants in Midtown, Corktown and downtown. Companies from Birmingham, Ann Arbor, Woodhaven and other suburbs have bought materials, too. Even billionaire businessman Dan Gilbert is pining for old Detroit wood. He tapped Reclaim Detroit for a project under construction at the Dime building — now called Chrysler House, said Bob Chapman, executive director of Reclaim Detroit. Read the entire article via Reclaimed materials from old Detroit buildings finding new life | The Detroit News. Lansing Community College will tear down three downtown houses this summer that preservationists deem historic and replace them with a “welcoming plaza” on the north side of campus. A posse of 15 preservation experts toured the houses Friday and deplored the impending loss of three more century-old-plus buildings in the heart of the city. LCC bought the three properties, on the southwest corner of Capitol Avenue and Saginaw Street, in May for a total of $400,000. via LCC’s wrecking ball to strike again. Aesthetics aside, however, this ‘remodel’ is of course designed to remind people of just how many homes are left to rot in our current economic crisis as well as in general within the city limits of hard-up towns like this poster-child. 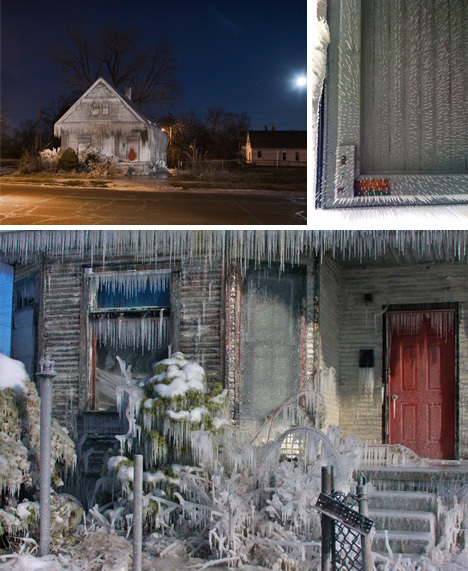 via The Ice House: Crazy Crystal-Covered, Fully-Frozen Home | Designs & Ideas on Dornob.